Caption slip reads: "Photographer: Olmo. Date: 1954-08-02. Reporter: Petty. Assignment: Marijuana raid. 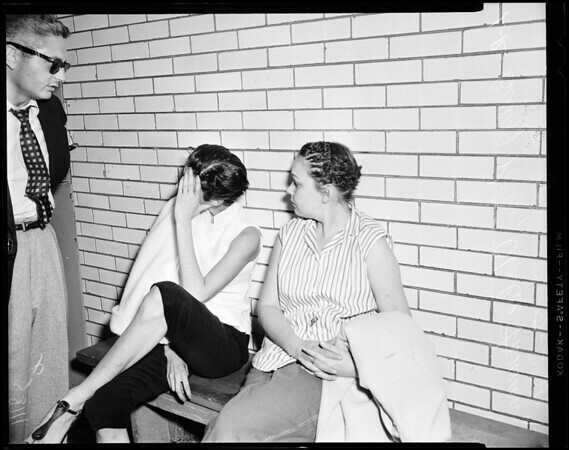 L. to r.: Betty J. Poston, 24, Otalee Fanning, 28 at county jail. Some pix l. to r. reversed -- Betty is one covering up".